I am not an obsessive collector compared to some out there. I have things I like and things I want and I am pretty happy with that. But something has always been on my list. Something I thought might be too rare to get. That is till I saw it on eBay a week ago. I put down my money and I got it. 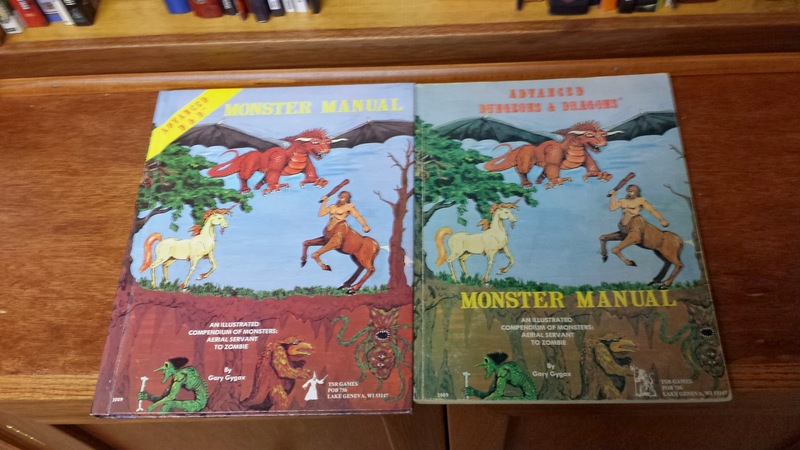 I finally got a copy of the softcover Monster Manual printed in England. 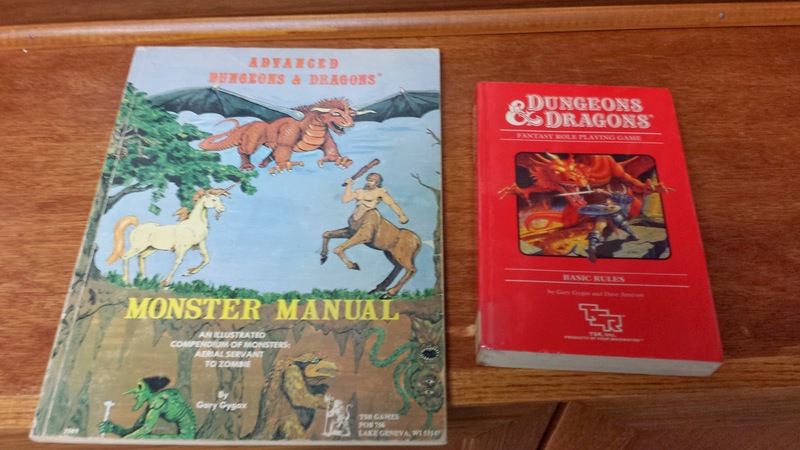 There really is no difference between this and my hardcover Monster Manual. Save for the fact I ahve always wanted this one. That is not all! 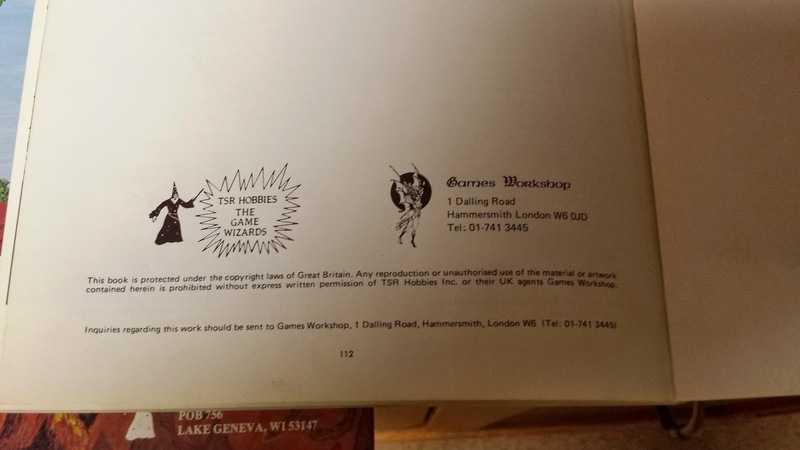 In the process I discovered there was also an England only version of Mentzer Basic in a single volume format. 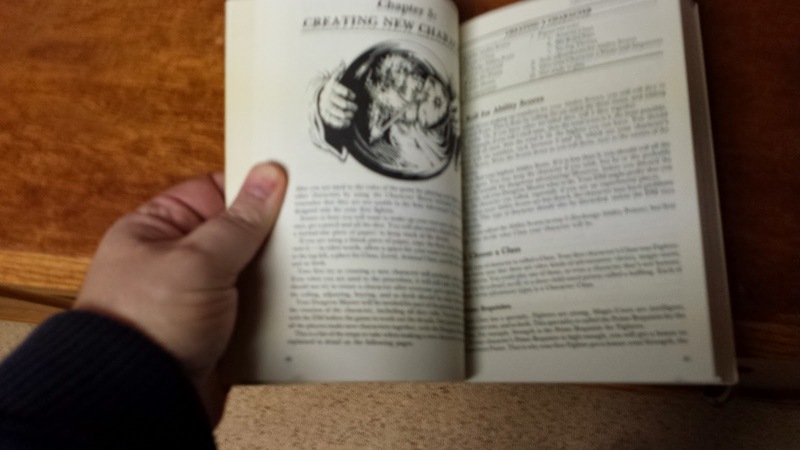 Sorry for the blurriness, trying out my new phone. All in all I am very happy with these! See I LIKE Elmore. His art is fun and he is a great guy. I make an effort to stop by and wish him a happy birthday at Gen Con since it is usually the same time. I gotta have more Elmore! That's really cool and I'm super jealous. 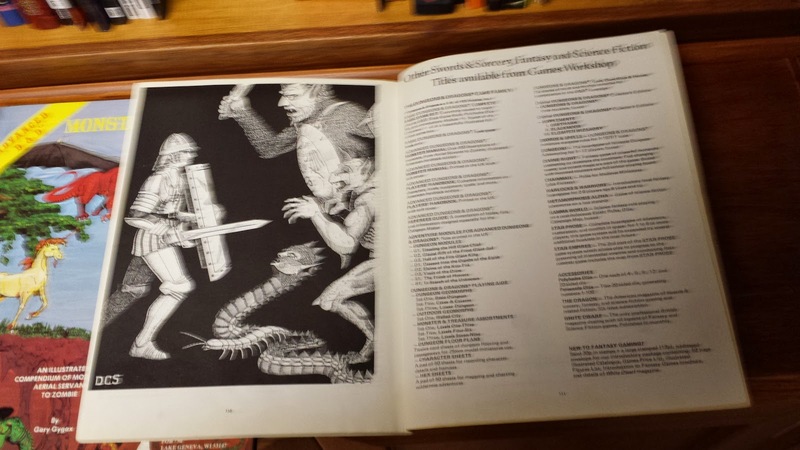 I have the British Fiend Folio. 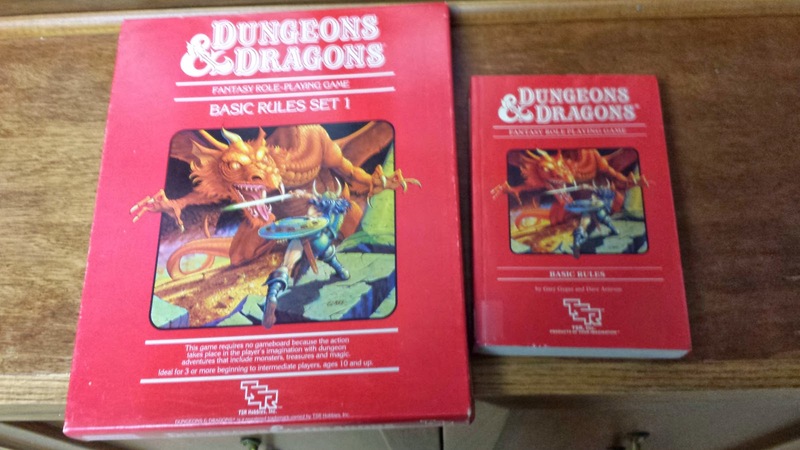 Got it for $5 at a garage sale years ago. Had no idea it was British until I realized Armor Class was Armour Class. Other than a few spelling variations it seems identical in all respects. But now that I'm seeing your side by side comparisons I may have to see if there are any other noticeable difference. Need to get an American printing now. Ameron, I think ALL Fiend Folios were like that. The couple that I have had over the years were and my first one I bought in a mall in the Midwest. Oh, that is so cool cool to have. Thanks for giving us a look.